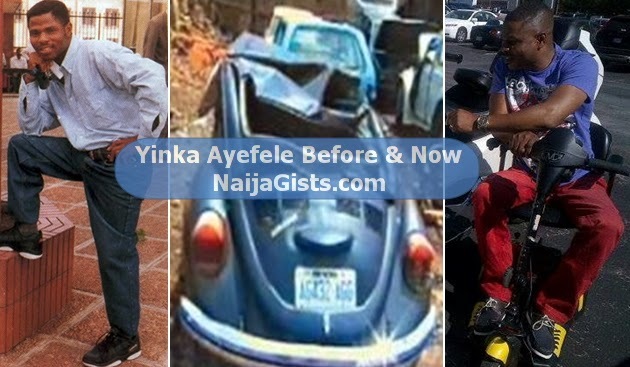 Gospel musician Yinka Ayefele who lost his spinal cord in a ghastly motor accident in 1997 has spoken publicly for the second time about his ordeal. The Ekiti-born juju/gospel singer thought his world had come to and end when his car got into an accident that left him permanently confined to the wheel chair. But luckily for him, he came into limelight after recording an album aimed at raising the funds for his treatment. Since his ordeal over 11 years ago, the news broadcaster turned-musician has since been on the rise. In a recent interview on Sahara, Yinka bares it all. He talks about his marriage, his education and the accident that landed him on a wheel chair as a result of spinal cord injury. Yinka Ayefele was one of the major entertainers at the elaborate dinner party held by Patience Jonathan sometime in August. He therefore, cleared the air on why he sang at the first lady’s rally in Abuja and his relationship with her. God loves u,until u finished d work He send u on earth, u will not go to Him.So Brother gear up.N do more of God calling u are bless.